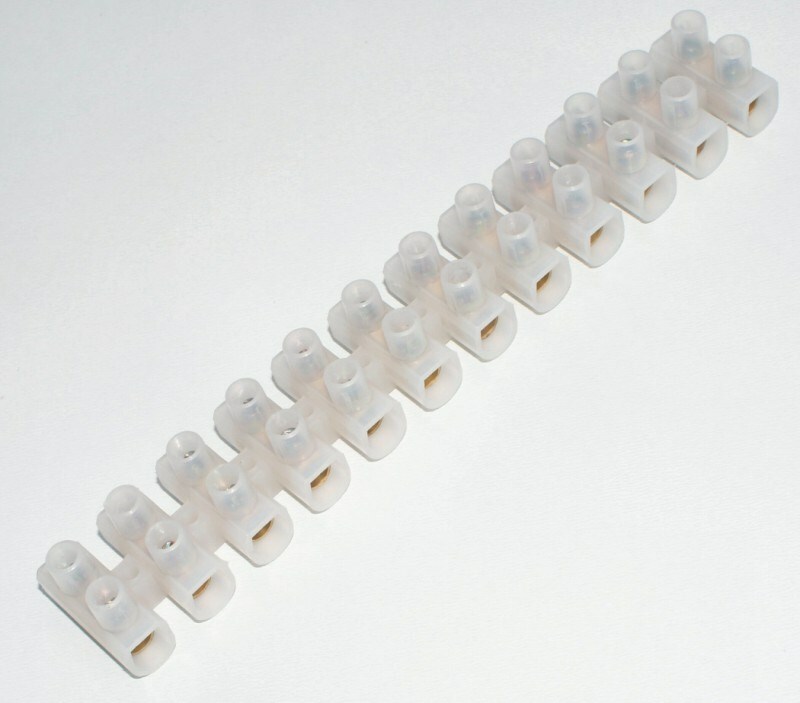 Good quality plastic connector strip with brass inserts and plated screws. Can be cut between segments. Quick and easy.